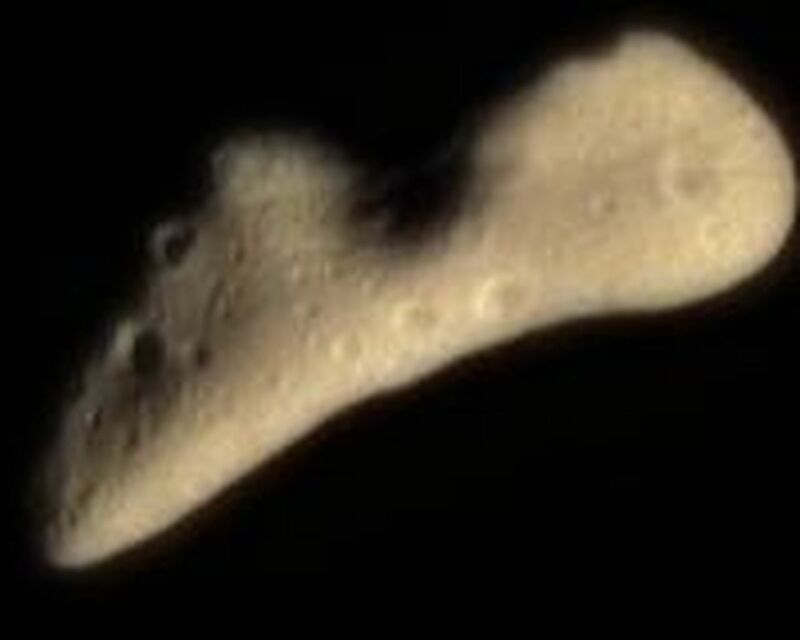 This color image of Eros was acquired by NEAR's multispectral imager on February 12, 2000, at a range of 1100 miles (1800 kilometers). 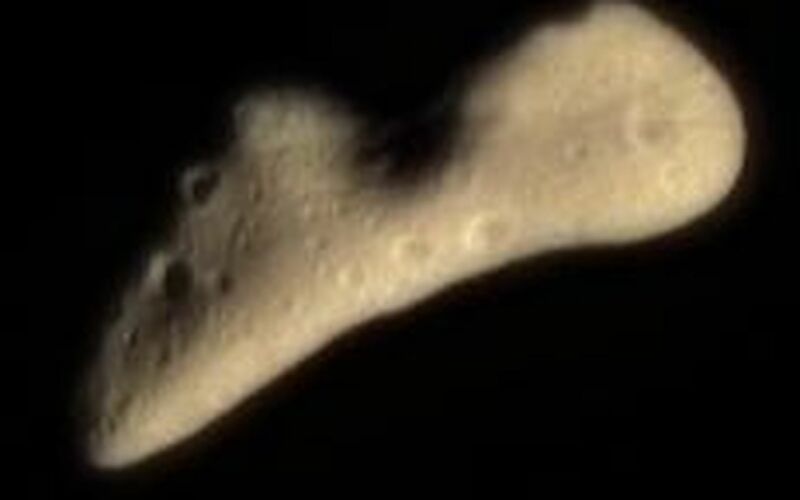 It is part of the final approach imaging sequence prior to orbit insertion and is intended to map the color properties of Eros across all of the illuminated surface. The image shows approximately the color that Eros would appear to the unaided human eye. Its subtle butterscotch hue is typical of a wide variety of minerals thought to be the major components of asteroids like Eros.